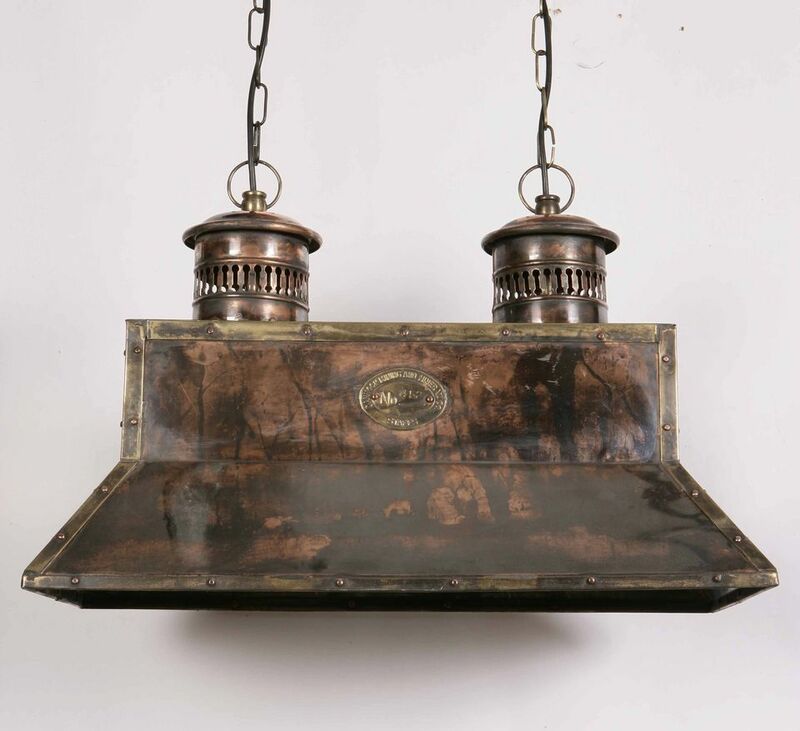 For period ceiling lights in London, Angelo's Lighting have one of the largest displays of vintage and contemporary lighting in the capitol and we specialise in a wide range of period lighting styles. 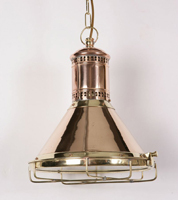 We sell lighting for all types of modern and traditional properties including domestic and commercial premises. 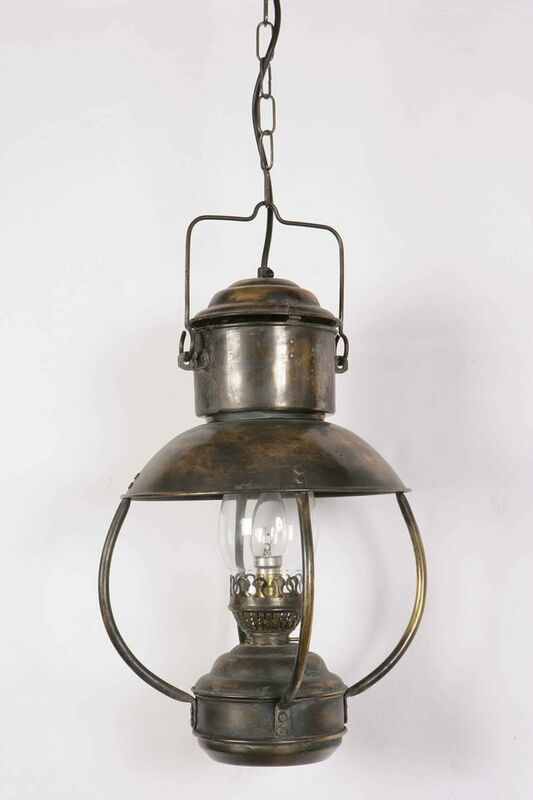 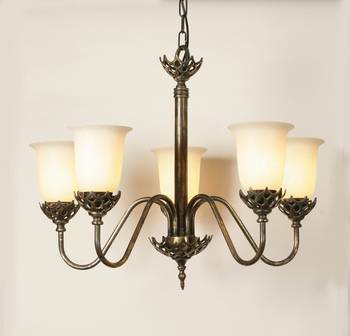 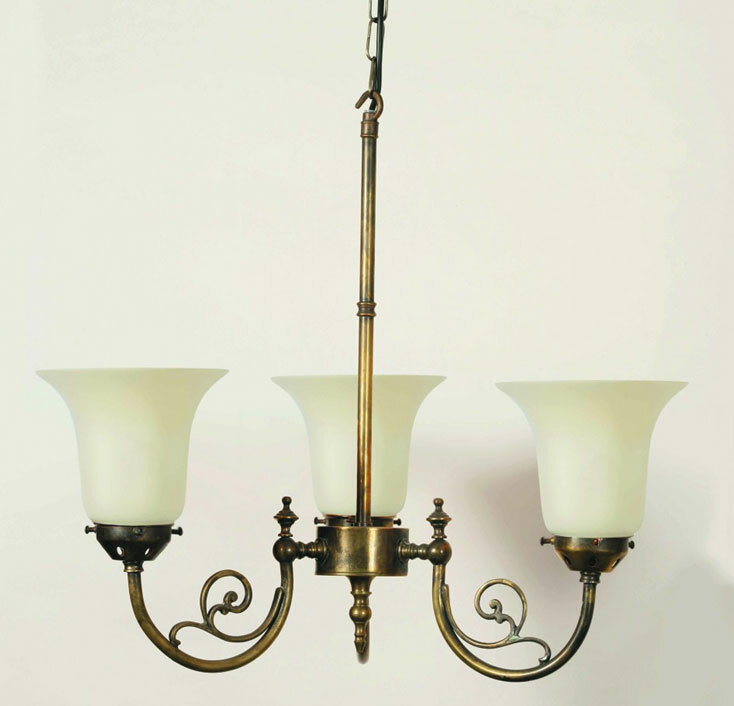 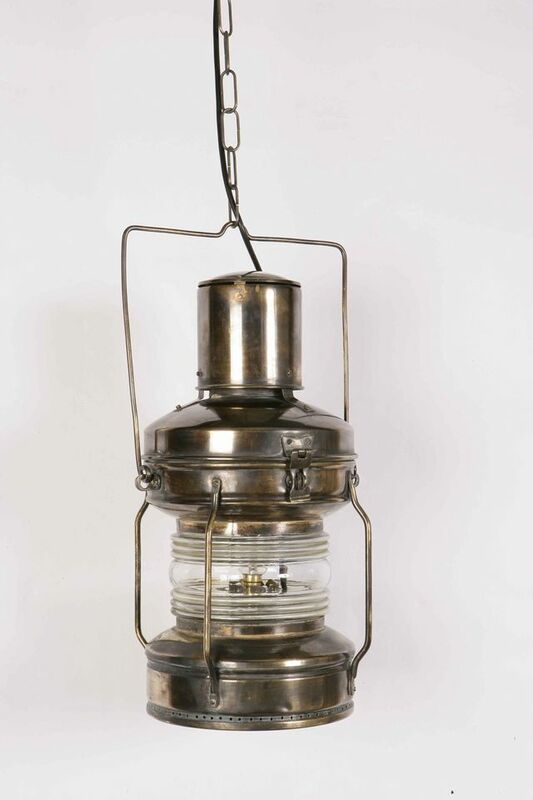 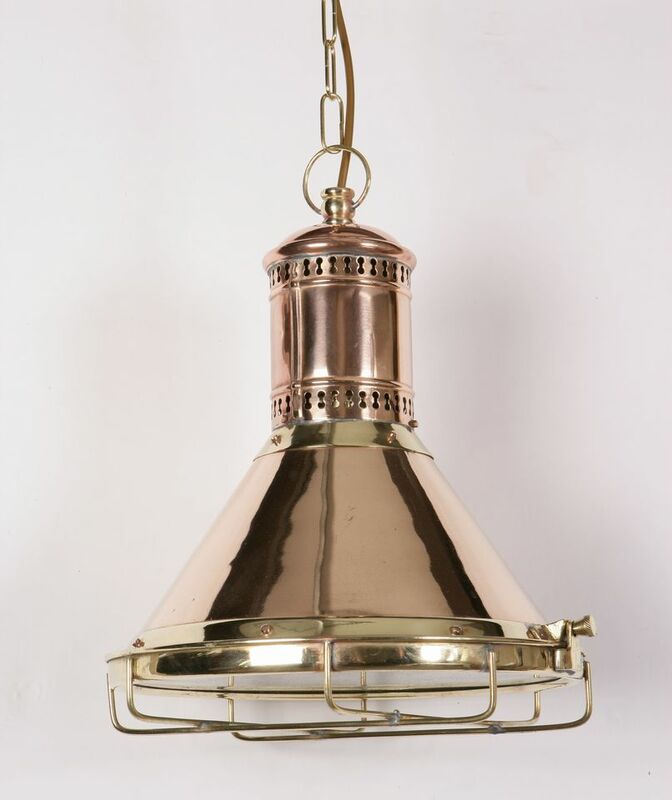 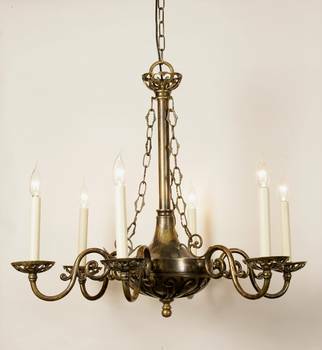 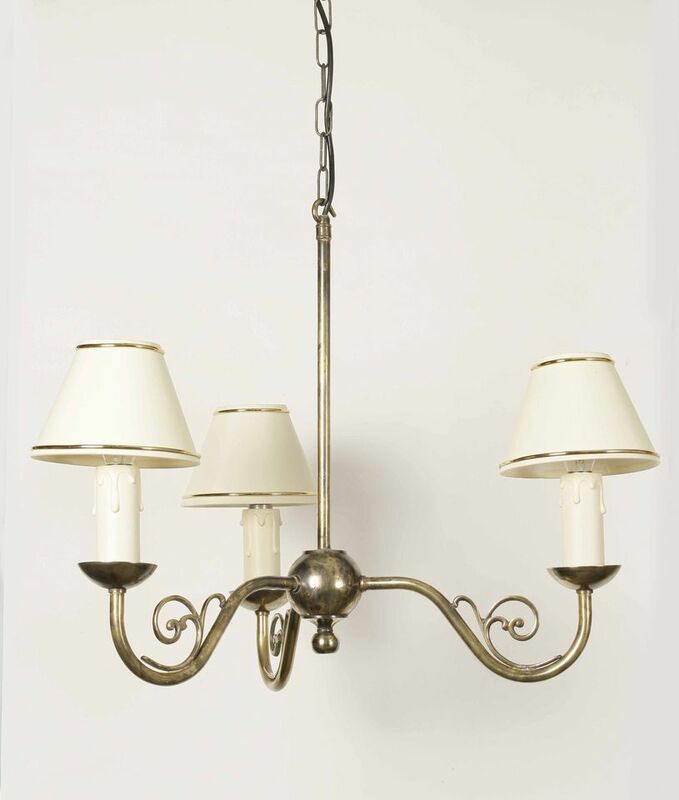 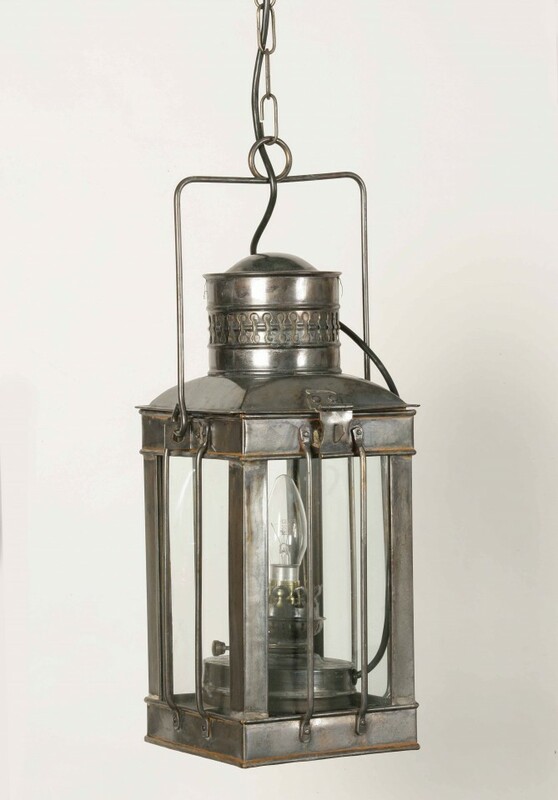 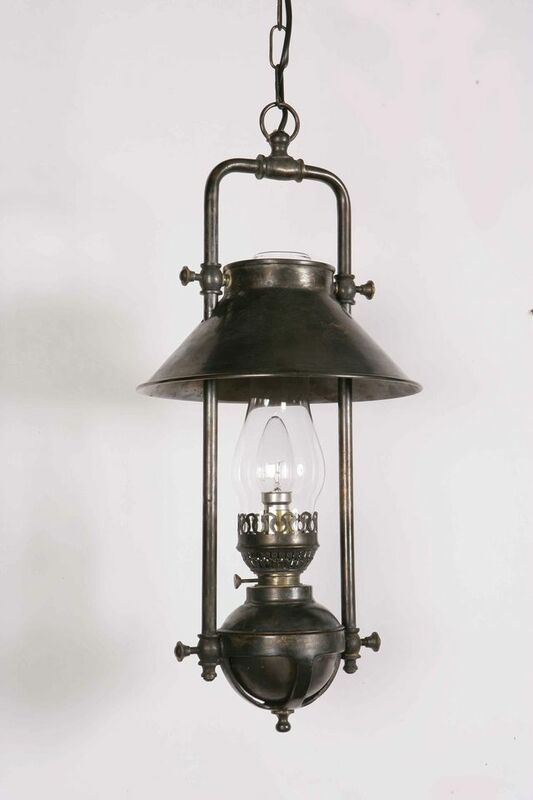 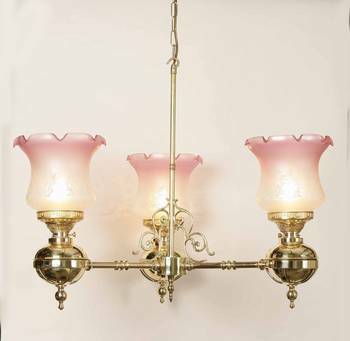 Our period lighting collection includes Victorian and Edwardian ceiling lights made from antique or polished brass, wrought iron and copper lighting. 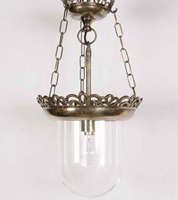 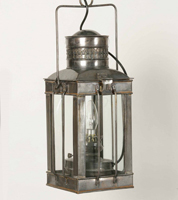 We sell uplighters, down lighters, single pendant lighting, lantern designs, coloured shades, glass shades and chandeliers. 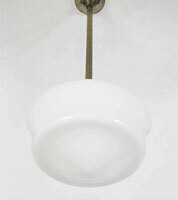 What you see here on this page is only a small fraction of the period ceiling lights we sell from our London showroom. 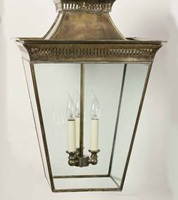 If you want to see more of our extensive range, visit our period lighting experts on Turnpike Lane, North London (N8). 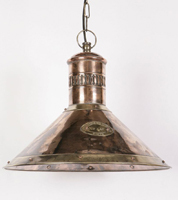 Why Choose Period Ceiling Lighting? 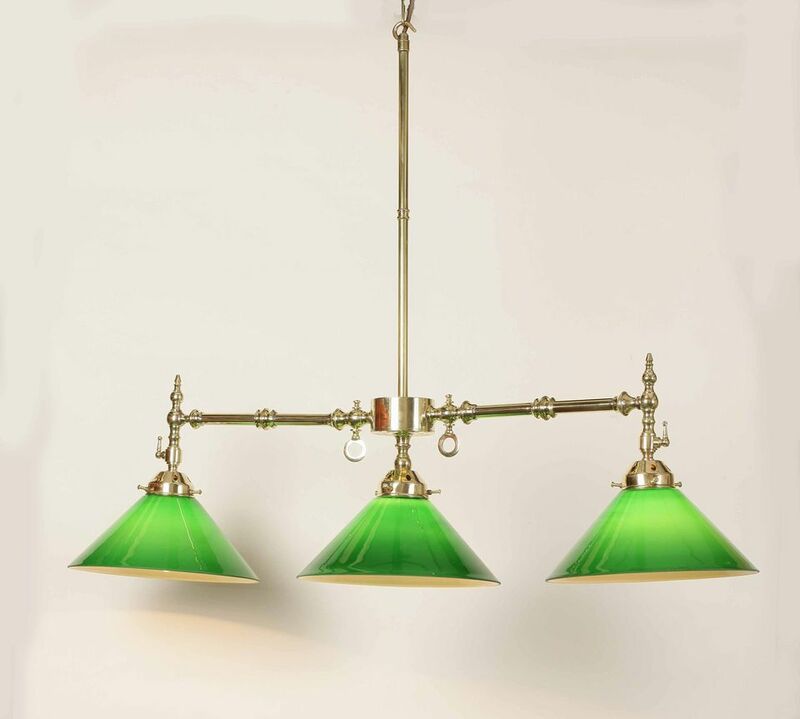 If you have a traditional style property or a period home and want to restore it to its former glory, one way to do this is to choose period ceiling lights. 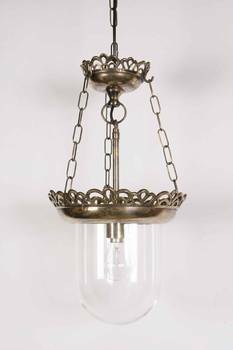 For example you may have a Victorian property in London and want to keep it in this style by installing an antique brass hall lantern in the porch or hallway, or a more elaborate candle style chandelier in the dining room or sitting room. 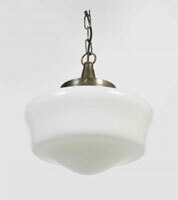 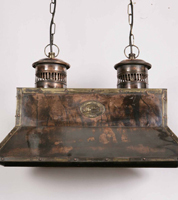 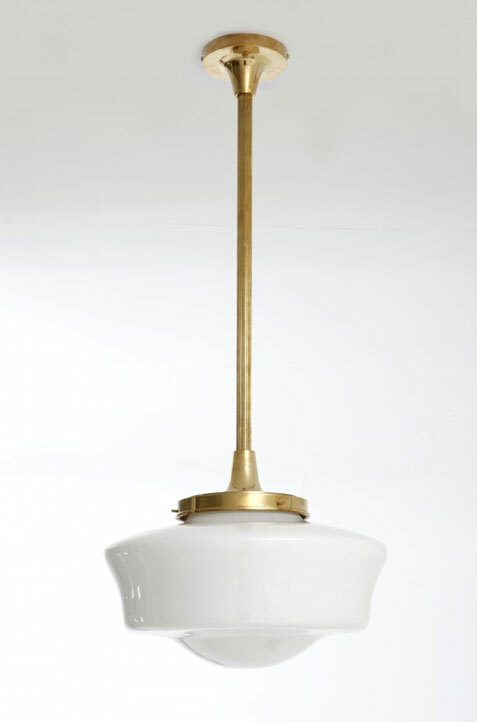 We also have a range of period ceiling lights in art nouveau and art deco styles to help decorate your London home. 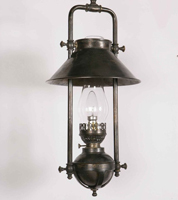 Period lighting represents a particular historical time period it can also be termed as vintage lighting or antique lighting. 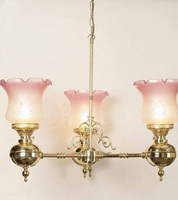 How to Choose Your Period Lighting? 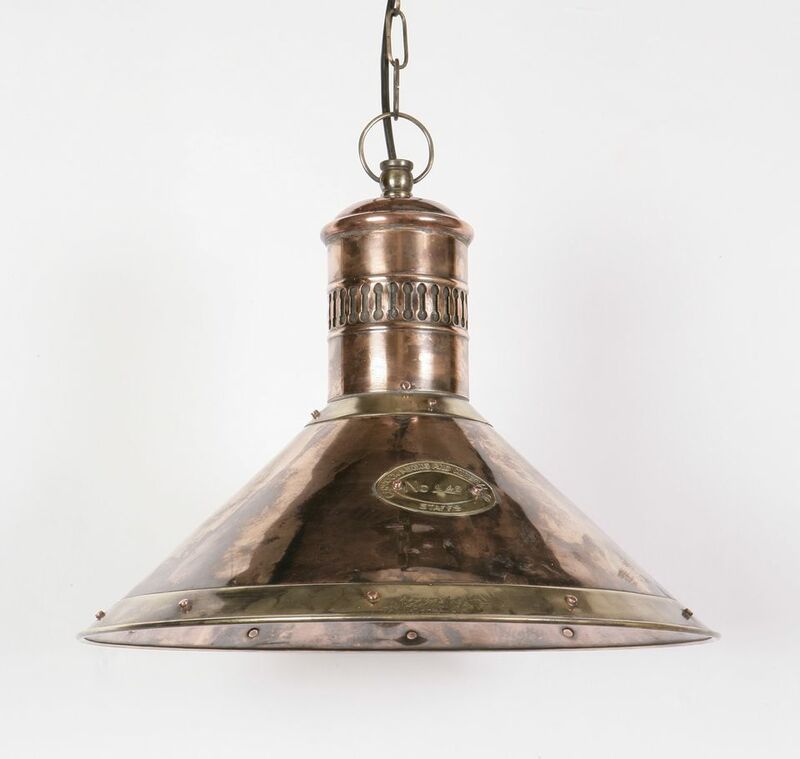 The choice of period lighting in our London showroom can seem overwhelming at first but it doesn't have to be if you follow these simple rules. 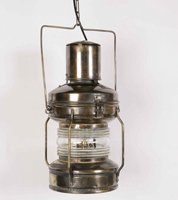 Firstly look at the type of property you have. 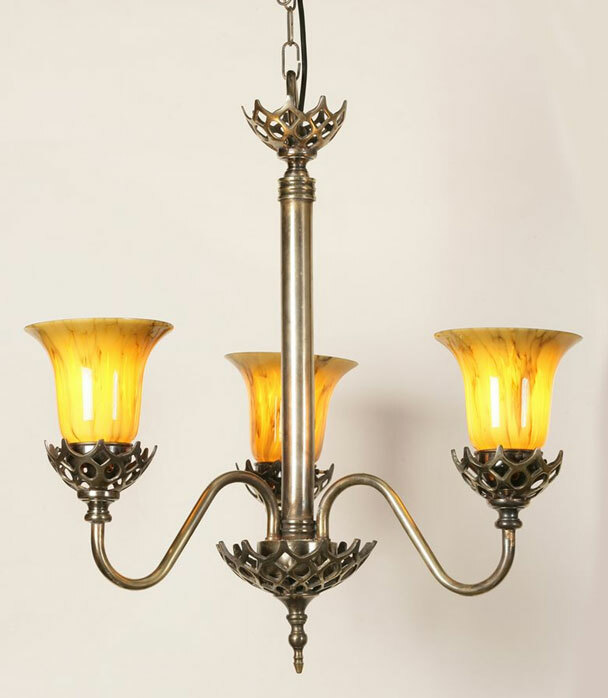 Whatever lighting design you choose, try to make sure it is within keeping of the style of your property and your decor. 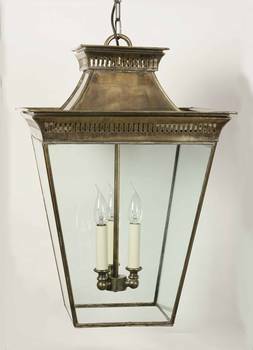 If you do choose lighting within the time frame of your property, it is a timeless solution and it will look good for many years to come. 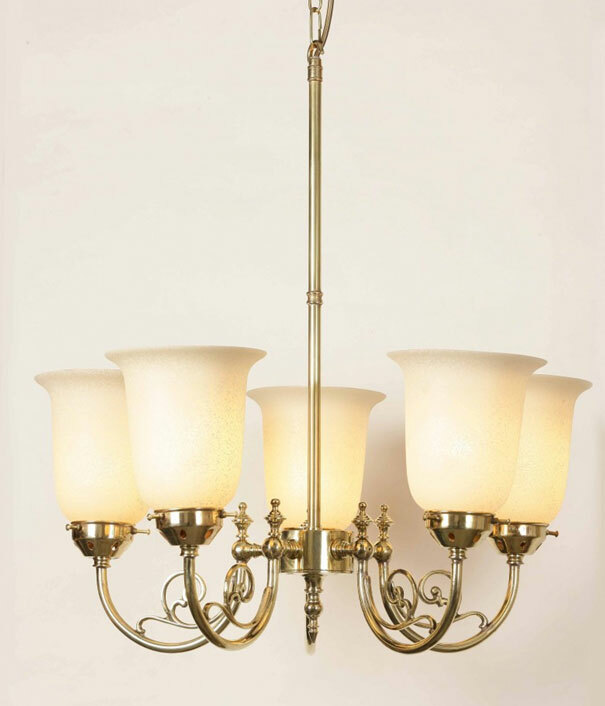 However, you don't have to stick to period ceiling lights that are in keeping with the time that your property was built. 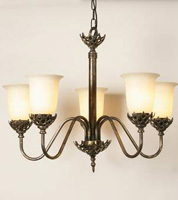 Don't be afraid to mix and match different styles and eras, as this can produce elegant and surprising results. 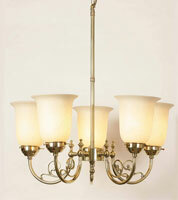 Generally the higher the ceiling, the more elaborate your choice of lighting can be. 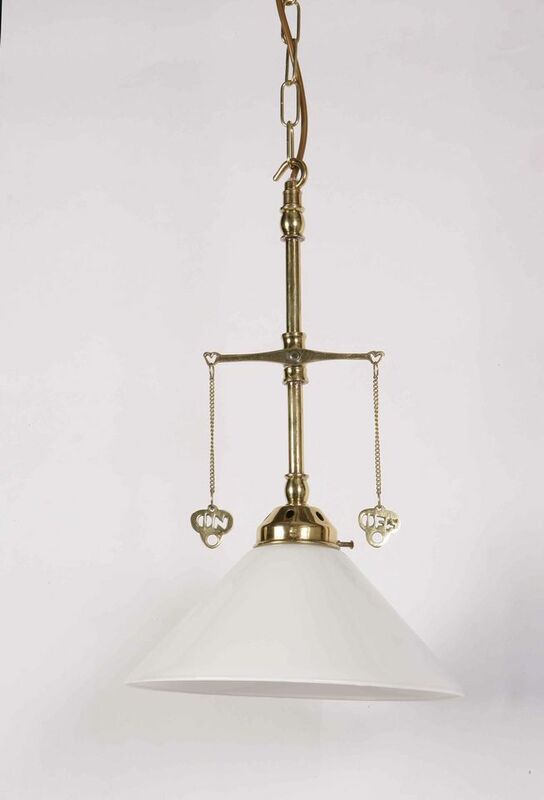 If you have a home or business with a high ceiling, you can use lighting with a chain suspension, as there is no fear of anyone knocking their head against it. 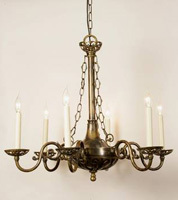 If you have high ceilings (8 ft or more) you can choose chandeliers or more elaborate styles of lighting which look dramatic in hallways or reception areas. 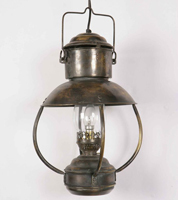 Make sure that you leave a gap of about 7 ft clearance so that you can walk freely under it. 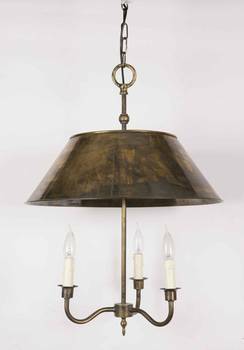 However, period ceiling lighting hung above a kitchen or dining room table looks amazing hung lower down, above the centre of the table. 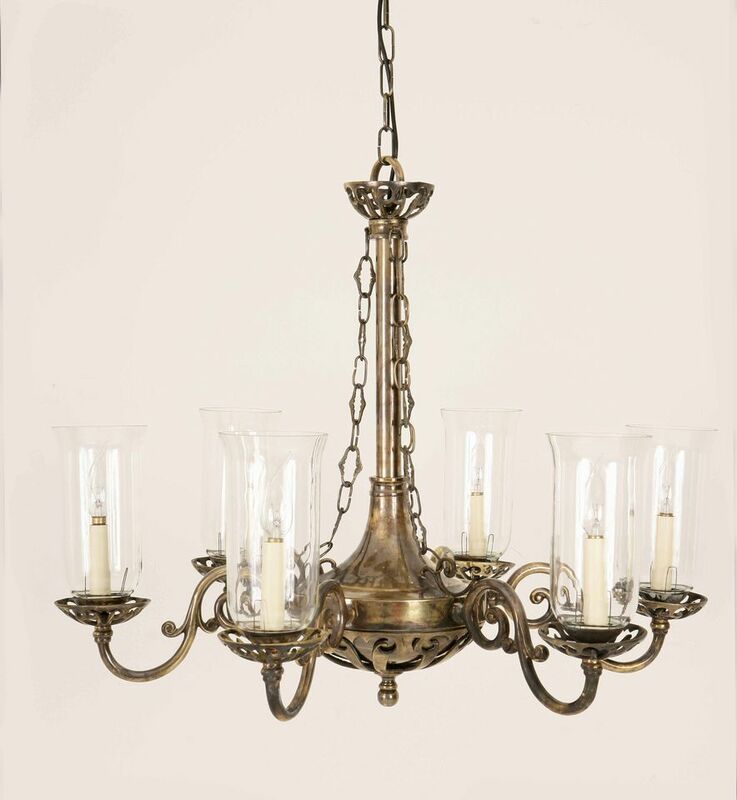 If you want chain lighting and are in any doubt about how far the light will come down from the ceiling, ask our experts at Angelo's Lighting to give you measurements of the total length of your preferred lighting from top to bottom (including chain) so you can decide whether it will fit perfectly within your home. 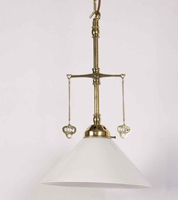 The larger the room, the wider the diameter your lighting can be. 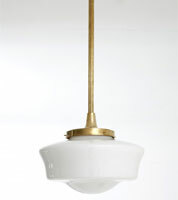 In a small room, by comparison, a single pendant may suffice. 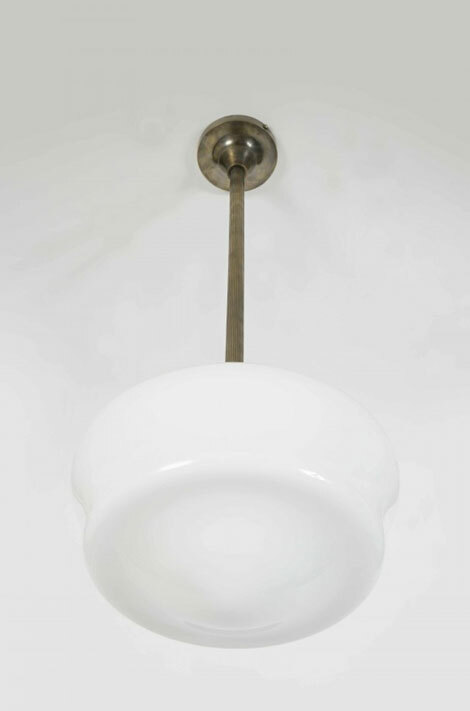 If you have a big room, you can select a larger light fitting and this will also emit more light. 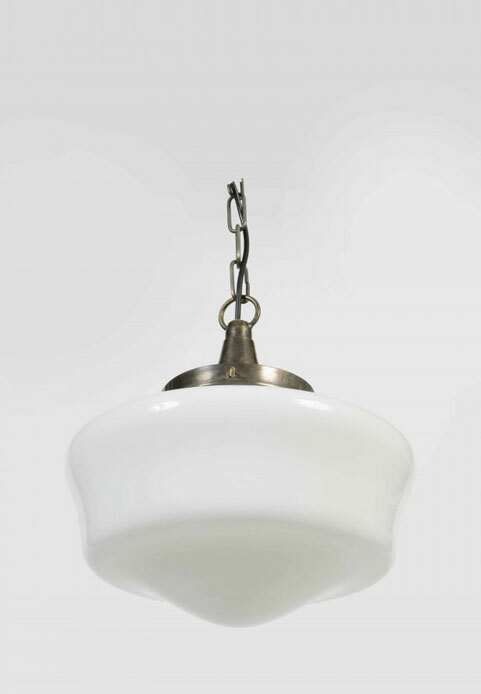 Ceiling Lights or Wall Lights? 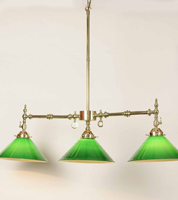 If you want period ceiling lights for your London property, you are not just restricted to one central light source for your room. 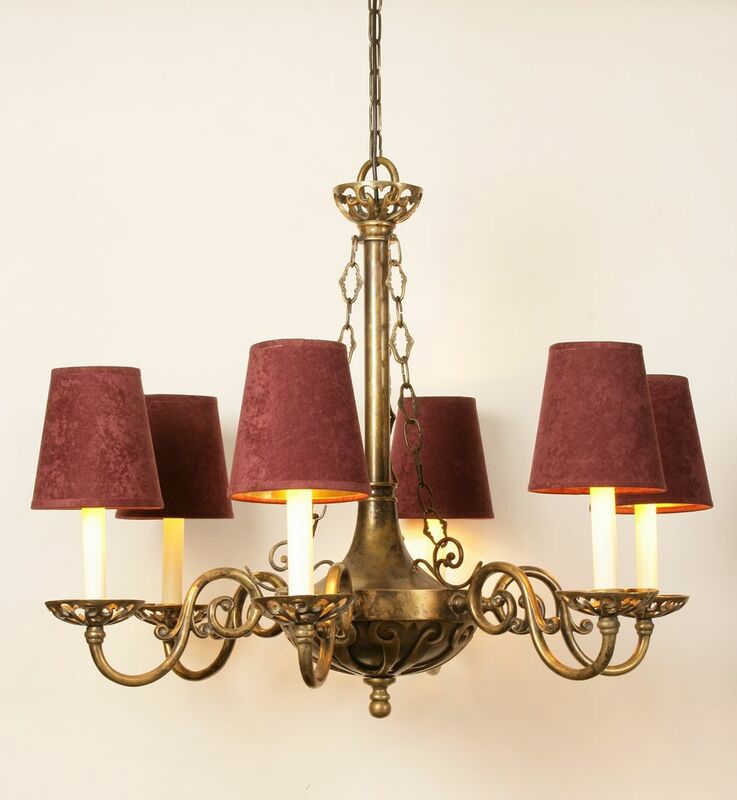 Period ceiling lights with a lower wattage not only look more authentic, but you can also use multiple light sources to light up the room, such as accent lighting or task lighting. 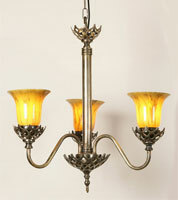 These can be in the form of wall lamps, table lamps or floor lamps to light up certain sections of your interior. 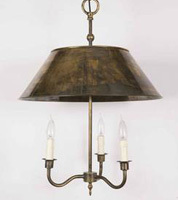 In addition to our period ceiling lights, Angelo's sell an extensive range of floor, wall and table lamps. 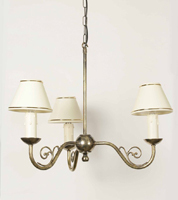 Just visit us at our London showroom to find out more. 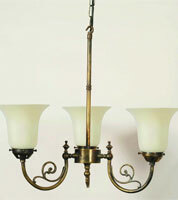 We have 1000's of Period Ceiling Lights design's in our showroom!